An intercom is an electronic communication system that is commonly found in hospitals, schools, offices and other large buildings, in ships and liners, and even in homes. With just a push of a button, an intercom system enables people in different rooms to communicate with each other in an instant. Set your budget. The first important thing to do before shopping for an intercom system is to set your budget limit. The type, make, brand, and features of an intercom system will largely depend on the amount that you are willing to spend on it. The sub-stations/door stations – also known as the speakers or slave units, these are connected to the control panel. The master station – also known as the central control panel, this is the unit that controls the system. The power supply – this feeds power to all the units in order to make them function. Determine the range that you want. Different intercom systems have varying ranges, with some even reaching almost 1,000 feet (or 304.8 meters). Choosing the range of your intercom system depends on their use and purpose, which can vary from room to room, floor to floor, and even as far as from one building to another. To connect rooms to a central office. To broadcast announcements/as a public address system. To function as a ‘bell’, especially at schools (to signal the change of classes) and at home (connected to a door buzzer). Check its compatibility with your home (or building) structure. The ability of the intercom system to deliver a good sound quality depends on the structure of your home (or building). Obstacles, such as metal walls, may interfere with the signals and prevent your intercom system from producing a clear sound. 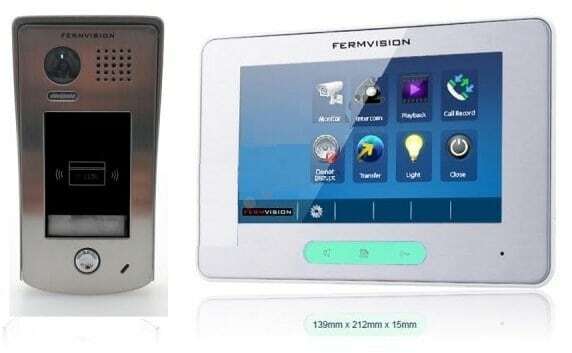 Choose the desired type of intercom system. Intercom systems can either be hard-wired or wireless. Hard-wired or traditional intercom systems – these require wires to connect the entire system that is installed throughout your home (or building). Although they provide minimum interference and/or restrictions, hard-wired intercoms can be expensive to install (even far more expensive than the actual cost of the units themselves). They can also prove to be less convenient, with all the wires running throughout the walls and ceilings. Wireless intercom systems – these units may be more costly than the traditional, hard-wired ones, but they have the advantage of requiring simple installation: just plug them to a power source, and you’re all set! Check the product’s warranty. In a way, the length of an intercom’s warranty, including the extent of its coverage, reflects the manufacturer’s confidence in their particular product. Make sure that you understand the clauses and provisions that are stated in the warranty certificate, and that they are backed not only by the manufacturer but the local dealer (or dealers) as well. Transact business with experienced dealers that are known for their reputation. They will not only provide you with several possible options but also actually help you in choosing the best intercom that would give the best value for your money. It is also strongly recommended that you deal with certified and accredited dealers and manufacturers that have been in business for a considerable length of time, who not only offer clear warranty considerations but also extensive after-sales support. By following the guidelines that are mentioned above, shopping for a perfect intercom will surely be an easy task for you – allowing you to enjoy the many benefits of a good intercom system minus the worries and frustrations. 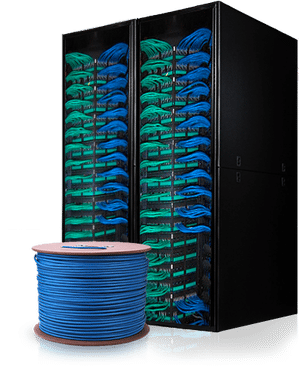 «What is a Structured Cabling System?